Property 3: Art Apartment Palazzo Vecchio - Wonderful terrace with amazing view. Florentine hills house with garden and private pool. Property 6: Florentine hills house with garden and private pool. Property 12: Country house with large garden in Chianti and terrace, 7 km to Florence. House on Florence Hills - 4 Miles Away from Downtown Florence! Property 28: House on Florence Hills - 4 Miles Away from Downtown Florence! Property 31: Farmhouse in Tuscan countryside next to Florence city center. Property 32: Nice apartment with garden! charming laura (3bedrooms): green apartment at the ground floor in the historic center. Property 50: charming laura (3bedrooms): green apartment at the ground floor in the historic center. 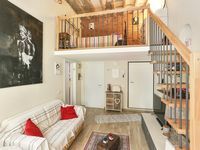 Siamo stati in questa casa in occasione del capodanno, che dire, posto incantevole e proprietaria molto gentile e disponibile. Torneremo di sicuro.